I'm a firm believer that if you want a garden, you should have a garden! Yet, when I ask people why they don't have one, I'm bombarded with a variety of different reasons. The most common of these tend to be a lack of space, very little available sunlight, or that they just can't seem to keep anything green alive. While they are valid reasons for most setups, they crumble when faced with the moss garden in a jar. Requiring very little space, sunlight, and even caring touch from the gardener, moss terrariums are for everyone! Better yet, they're virtually self sustaining and can be constructed from materials commonly found around your home. 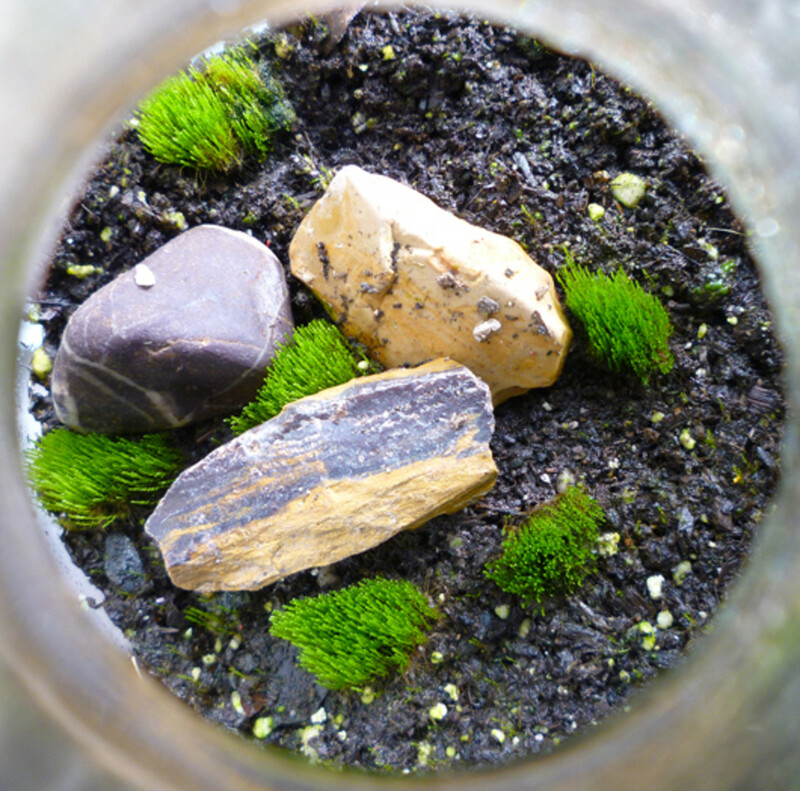 Keep reading to find out how to make a terrarium in a jar so that you can finally have the garden you've always wanted! Moss terrariums are the perfect way to add a little greenery to your tight living quarters! Apartments, dorm rooms, or a spare bedroom will all benefit from the relaxing touch of a tiny terrarium. It doesn't stop there though! 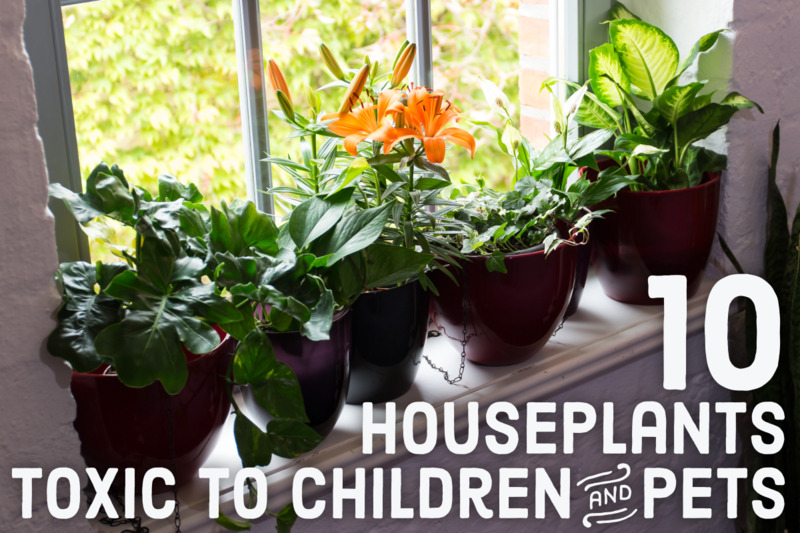 Since these micro gardens require very little sunlight, they can be placed just about anywhere, making them fascinating centerpieces at kitchen tables and valuable learning experiences in a child's bedroom. Whether it's just you, or your whole family, everyone is bound to enjoy a homemade moss terrarium! When it comes to setting up your tabletop terrarium, there are a few crucial supplies that will be required. 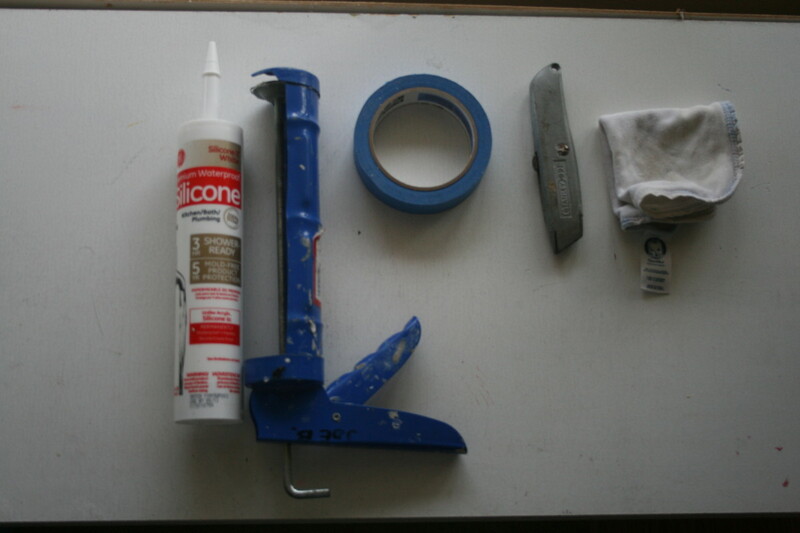 Luckily, all of the supplies needed can be sourced for little or no cost at all! 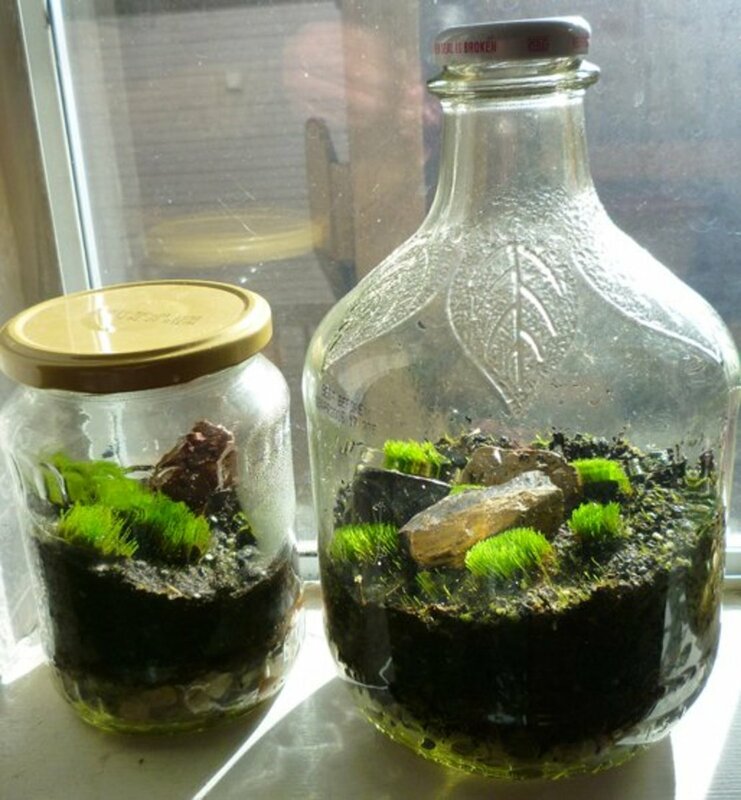 Moss Terrariums in jars. The one on the left was made from an old pickle jar, while the one on the right was constructed from an apple cider glass jug. Glass Jar with Lid - Any glass jar that has a lid can be used. Size doesn't matter, but the opening on the top does. If you wish to move the garden around frequently or wipe down the inside glass, a large opening may be desired. Jars with small openings will be much harder to arrange, but are still a viable option. Plastic containers may be used as well, but do not provide the clarity for viewing that glass does. Small Pebbles - Placed at the bottom of the terrarium, these rocks serve as a drainage area for any excess moisture. Dried Sphagnum or Peat Moss - A layer of dried moss is placed on top of the small pebbles to keep the potting soil from falling down into the drainage reservoir. This layer also acts as a small wick to move excess moisture in the pebbles up to the soil. You might not have dried moss around your home, but almost every pet store sells it at a very inexpensive price. Potting Soil - This is the final layer in which the moss will actually grow on. 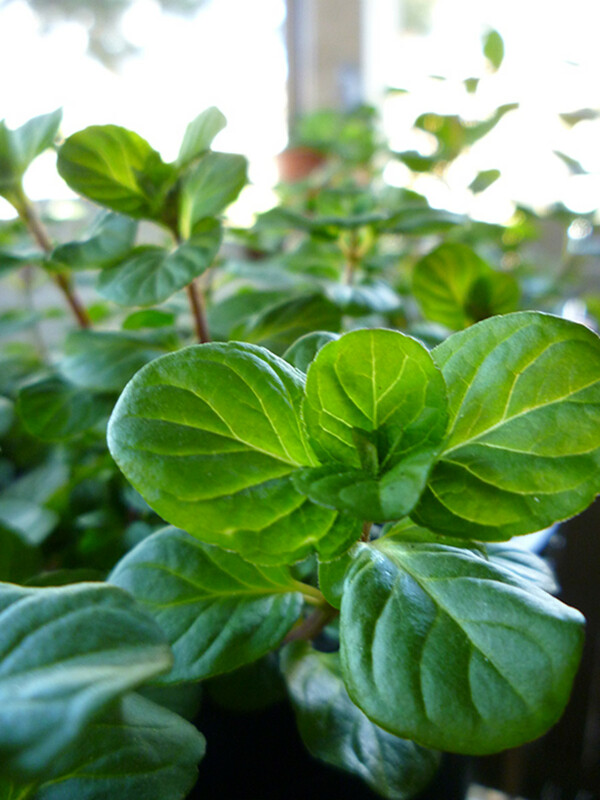 The potting soil does not need to be nutrient rich. Decorations - Although they are not necessary, rocks, small branches or other decorative pieces can create that special touch you're looking to for. Living moss terrarium. While this jar is very unique, the small opening makes moving moss and decorations almost impossible! Locating the Moss - This will be a no-brainer for people living in humid climates, as you'll be able easily find moss just about everywhere! For arid climates, look to the shade and places where liquid water is more likely to be available. I was able to find some moss growing in my apartment's parking lot. This particular clump was situated in a crack of the asphalt, and was directly under the shade of a nearby tree. Responsible Harvesting - Once you have located a suitable clump of moss, harvesting is a breeze. 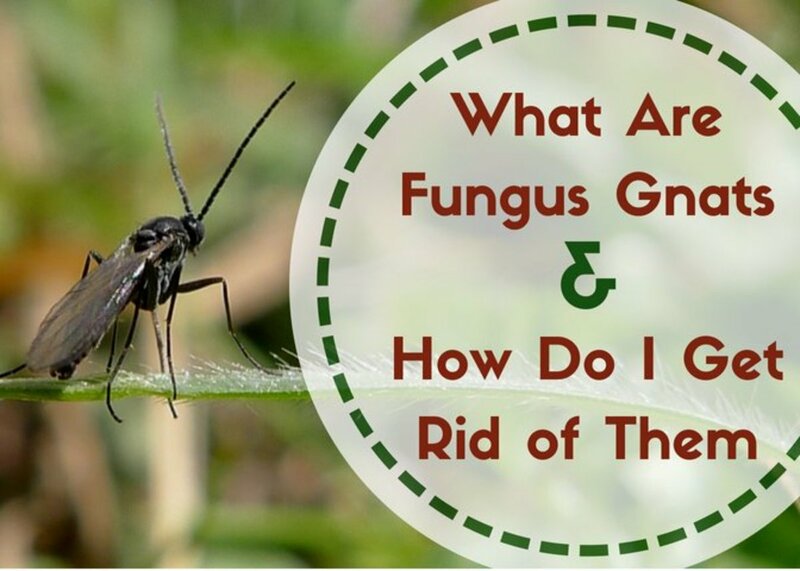 With a butter knife or even your fingers, gently lift up the moss taking a good portion of the medium its growing on with it. 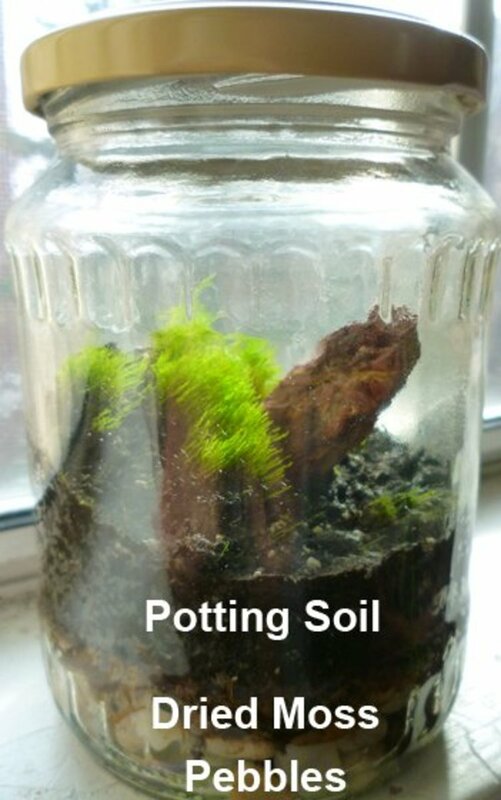 The moss and growing medium can then be placed in a sealed ziploc bag until your ready to plant it in your terrarium. When harvesting, take only small pieces from the donor clump. These small pieces will spread quickly in your terrarium and will ensure the full recovery of the original clump! How to make a terrarium in a jar. Compared to the apple cider jug, this pickle jar has a much larger opening and is a lot easier to work in. Line the bottom of the bottle with small pebbles. You'll want this layer to be 1-2 inches deep to provide proper drainage. Add the dried sphagnum or peat moss on top of the pebbles. This layer will only need to be thick enough to completely cover the rocks. On top of the dried moss, arrange a layer of damp potting soil. 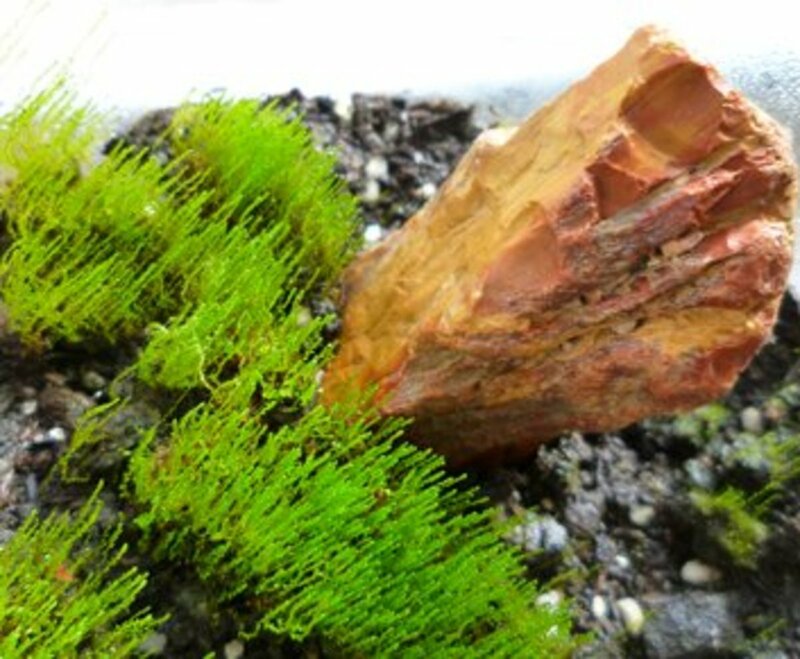 Since mosses do not have traditional roots, the layer of soil does not need to be very thick. A half inch of soil will be plenty. Arrange the small clumps of moss and decorations as desired. 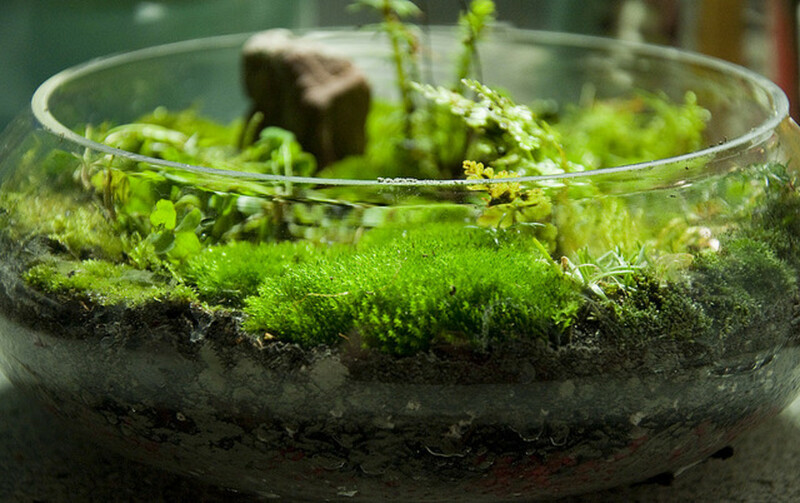 With a spray bottle, gently mist the terrarium until a thin layer of excess water develops in the pebble reservoir. Finish by loosely placing the lid on the jar. 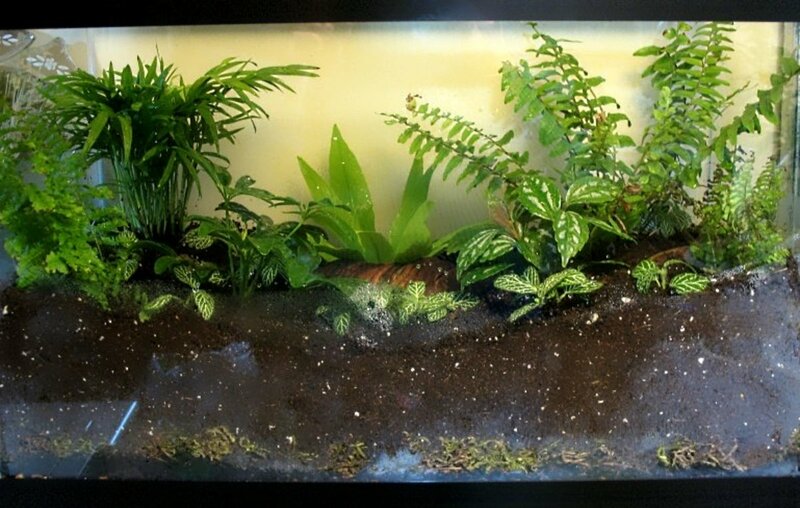 Situate the finished terrarium in an area that receives 1-2 hours of sunlight, or under artificial lighting. Watering should only be conducted when no condensation forms on the inside of the terrarium. Under normal conditions, a light misting should only be needed once every 1-2 months. 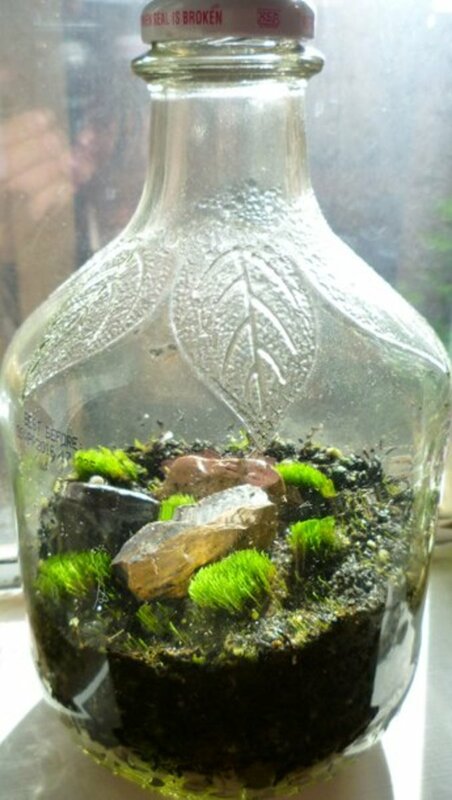 I used moss as an example in this guide on how to set up a terrarium in a jar, but there are so many different options you can choose from! To help illustrate the larger picture of what can be grown in a jar, a list of plants that are fit for growth in small terrariums can be found below. As a reader of this guide, I have . . . 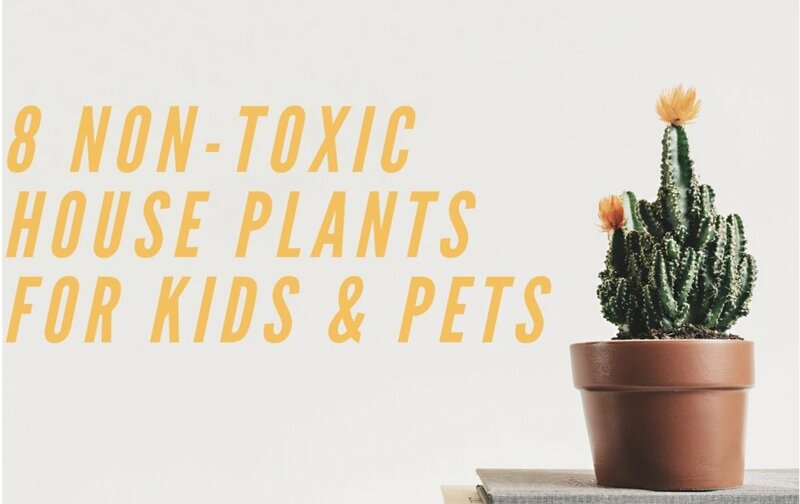 Many houseplants already, but no terrariums. Many houseplants and at least one terrarium! Just one or more tabletop terrariums. Simply put, there's no more excuses as to why you can't have your very own garden! Moss terrariums are by far the easiest of gardens to care for and offer a great deal of room for creativity. Adventure out, find some moss, and then landscape to create the garden you've always desired. It's just that easy. 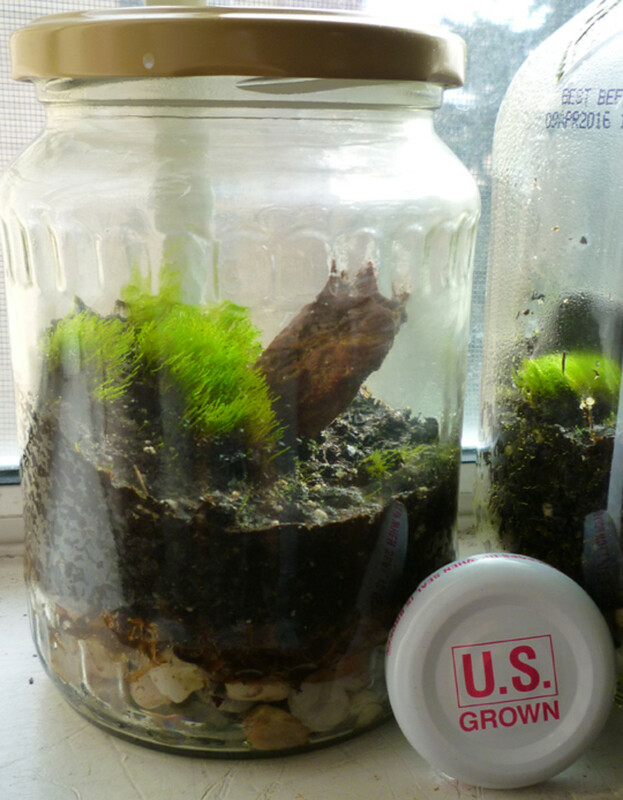 Thanks for reading this guide on how to make a terrarium in a jar! Please feel free to post any questions or comments you may have. This provided a very useful way to start using all the fish tank decorations that I had laying around. A nice little castle on the moss looks good! What sort of plants should I use with a tight-fitting lid on my jar? Nice. Never thought of having a Terrarium. You did a fine job in proving me (and many others probably too) wrong. Voted up. I remember making one of these years ago and now that I read your advice, I think I know why it failed to thrive. We overwatered. Your tip makes sense: water when there's no condensation. I think these terrariums are great in a kitchen window -- brings life to the scene. What a wonderful idea. 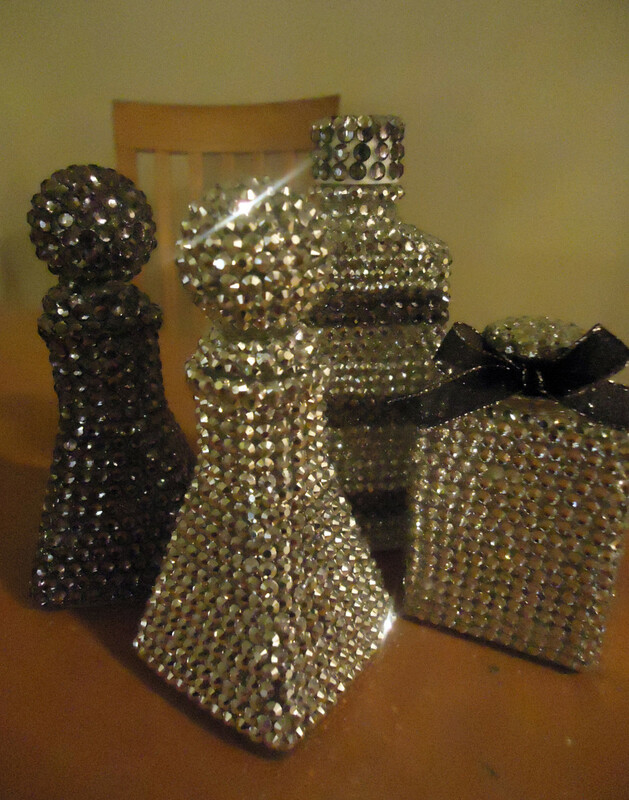 This would make a fun project to do with the kids. Thank you for the idea. The moss looks beautiful - and in the warmer months, I always have a few patches growing - so it looks like I need to try this.